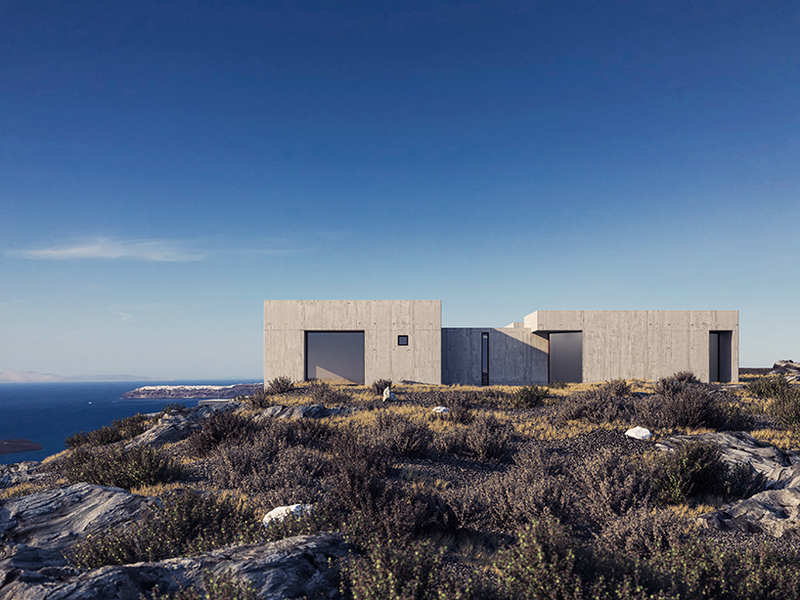 In Santorini, Greece located on the top of the volcanic Caldera Cliffs, Kapsimalis Architects design two vacation houses facing a stunning landscape view of the northwest to the sea and the volcano. The structure is designed in a brutalist architectural style and built using white wash concrete with industrial cement on the floors and dark grey wooden frames in the openings. Foliage and plants wrap around the building and are scattered throughout the landscape offering a beautiful contrast that is complementary to the dry volcanic surroundings. 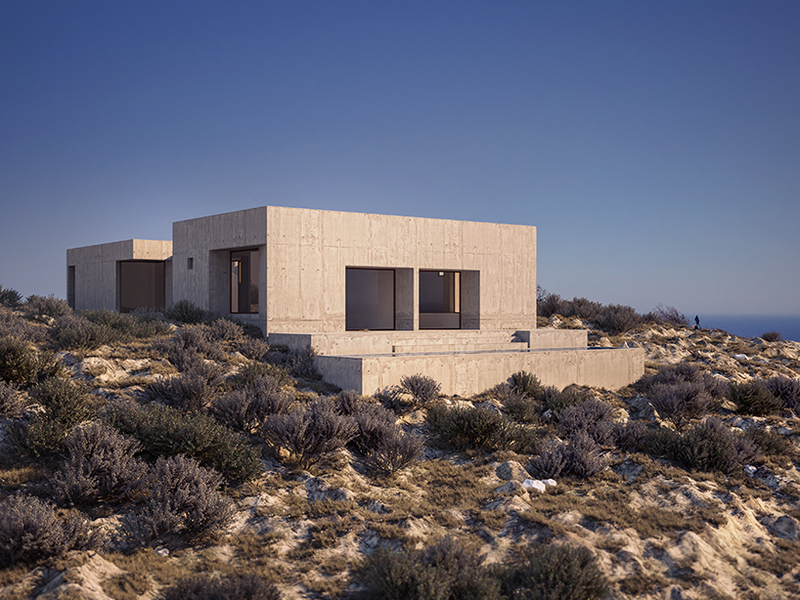 The residences are connected by a ground floor and the basement linked by an external and internal staircase and a linear swimming pool laying along the edge of the rock. Two symmetrical walls surround the separate residences connected by two dark metal gates with one entranceway. 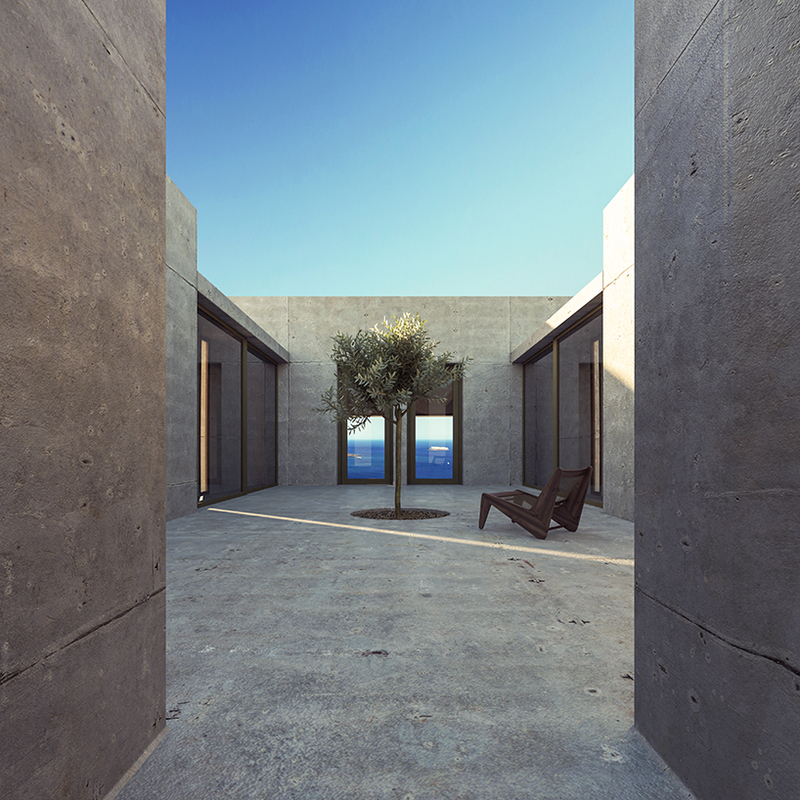 The heart of the two residences is the common patio serving as a continuation of the interior linking the back entrances overlooking a dynamic and vivid view of the volcanic infernos below.